Alpha Entry Gate Systems, Inc. Comment: Looking to have 6 ft. stockade and 4 ft. aluminum fencing installed in backyard around pool. Thank you. Comment: stockade fencing Need multiple panels replaced, some only need a plank or 2 added and 2 replaced gates are neaded. Comment: Back of house 75 feet with a gate, right side of house 14 feet with a gate and left side of house with a right angle (L shape) fence of 40 feet by 14 feet with a gate on the 14 feet fence. Comment: A section with 2 aluminum fence and post were removed in the front of the property, itâs the original fence by a company called anchor, if possible I would like to know if it can be repaired or replaced, please contact me at your earliest, thanks. Holtsville Fence Contractors are rated 4.78 out of 5 based on 880 reviews of 31 pros. 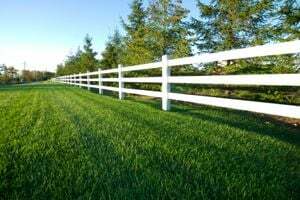 Not Looking for Fences Contractors in Holtsville, NY?